ICELAND. Reydarfjordur. 2007. 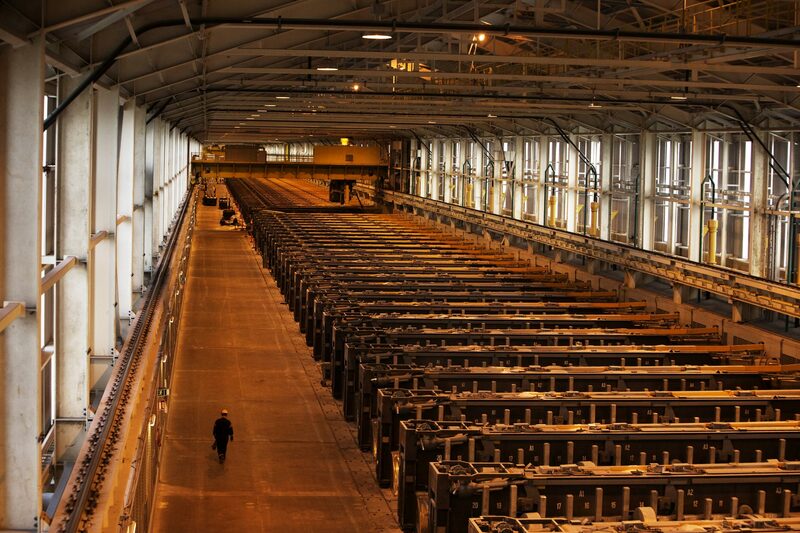 Views down one of the two 1100m long 'pot rooms' at the smelter, where the rows of 'pots' where the aluminium is produced form a long line. The Alcoa Fjardaal smelter, under construction in Reydarfjordur, in east Iceland. The project is controversial, as it is powered by the embattled Karahnjukar hydroelectric power station.